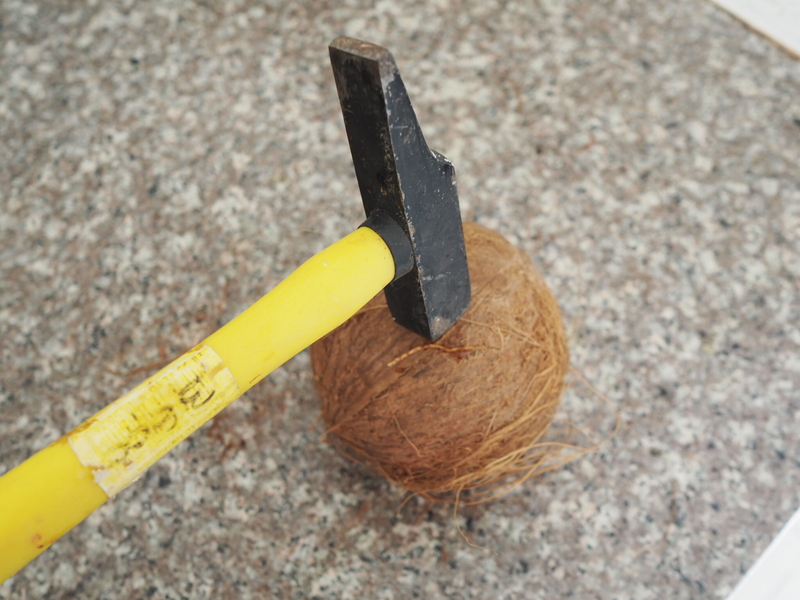 In this entry, therefore, I would lie to share how to make and utilize coconut milk from coconut (fruit). To explain, I will show more pictures than texts, as 1 image says more than 1,000 words. You have to make three holes on the 3 points (I found interesting that it has those). 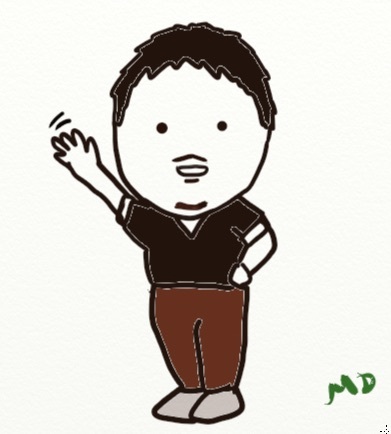 This part is also hard, and take the flesh out is a bit difficult so be careful (I cut my finger). Although it is named “milk” all you need is drinking water in the processor. 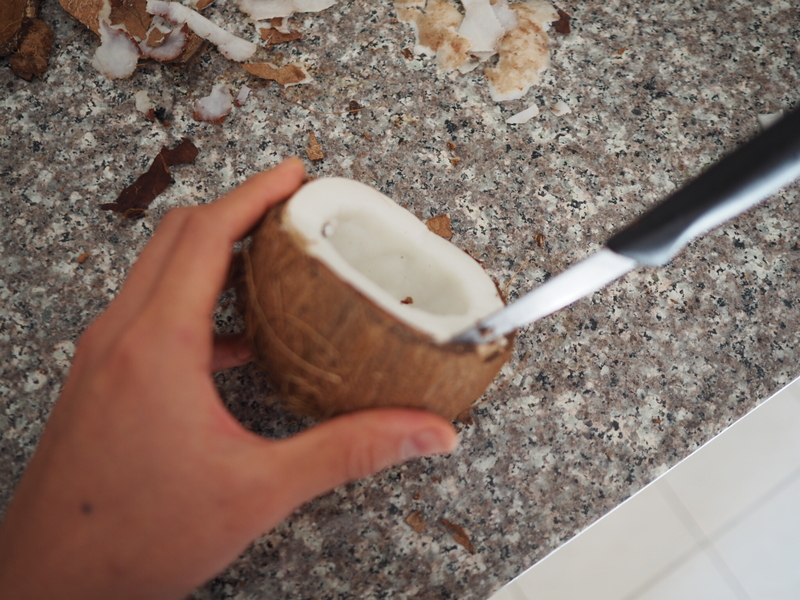 You can repeat this process 2-3 times to get as much coconut milk as possible. 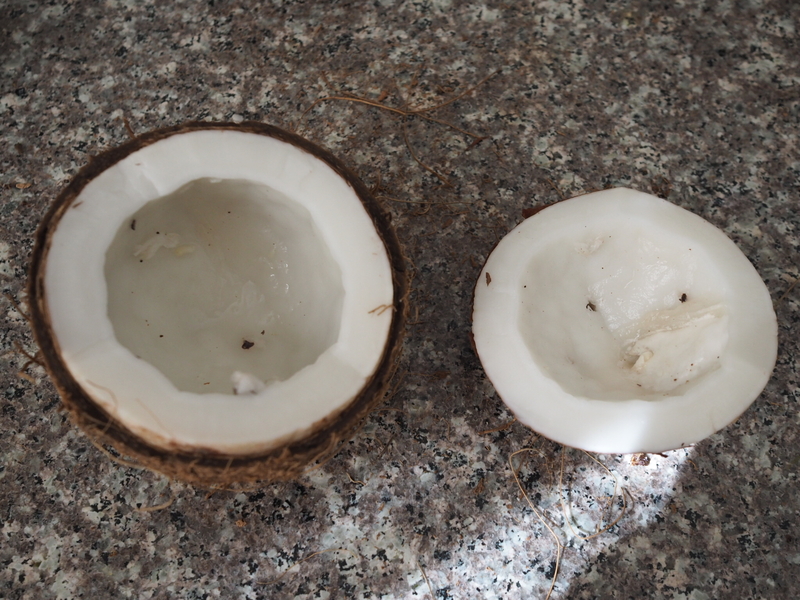 For this, I used a washing net and squeezed (just like taking milk from cow). 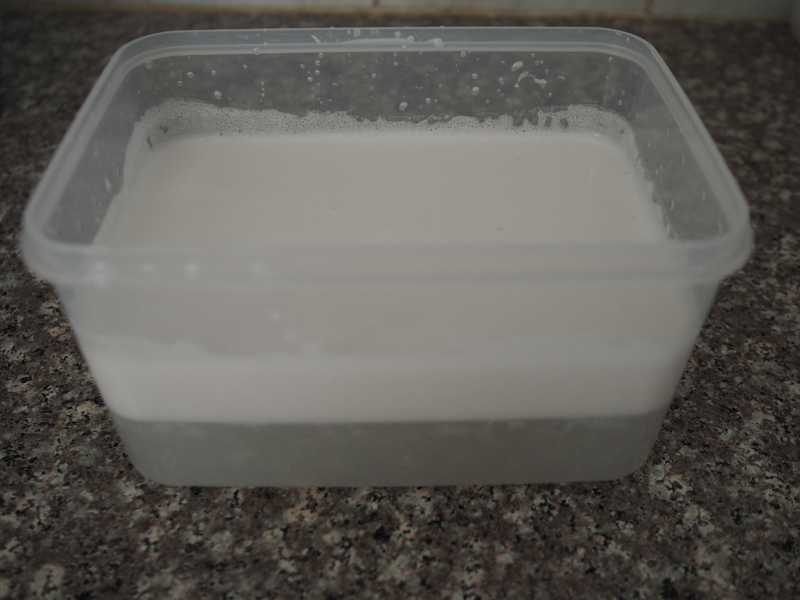 As mentioned above, use the flesh again and take as much milk as possible and you can get approximately 1 Lt of the milk. I think the most popular pate with coconut milk will be Thai green curry, which is also one of my favorite dishes. In addition to that, it can be used for other foods like Indian curry, spicy soup, tomato sauce, etc. 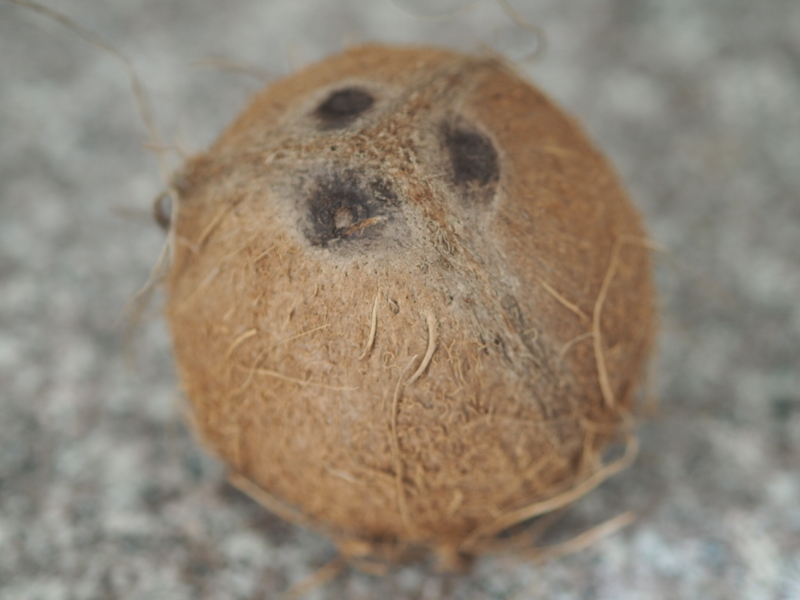 In other words, coconut milk can be used to make milder taste. For example, green curry paste by itself is too spicy to eat, but with coconut milk, it balances the taste and make something wonderful. 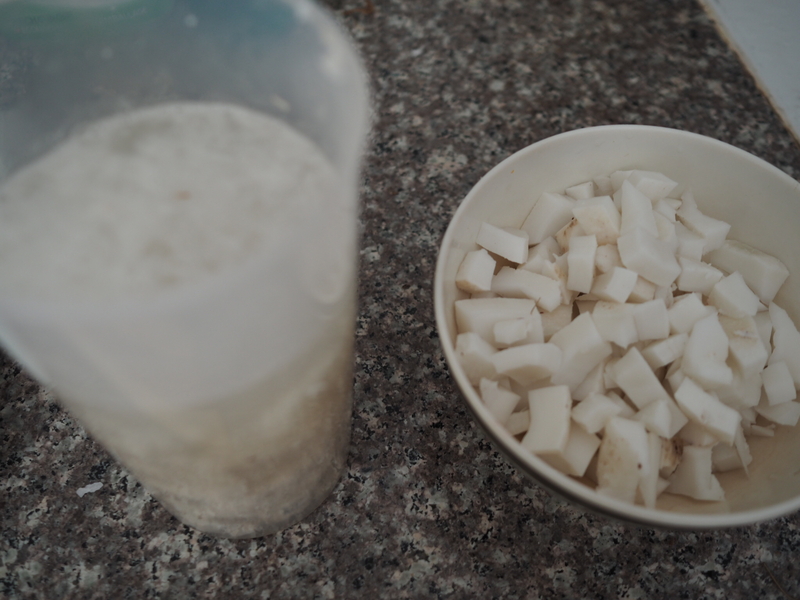 Not only can we use coconut milk from coconut, we can also use its flesh for dessert (coconut cake, cookie, pudding, Chinese dessert, etc.) 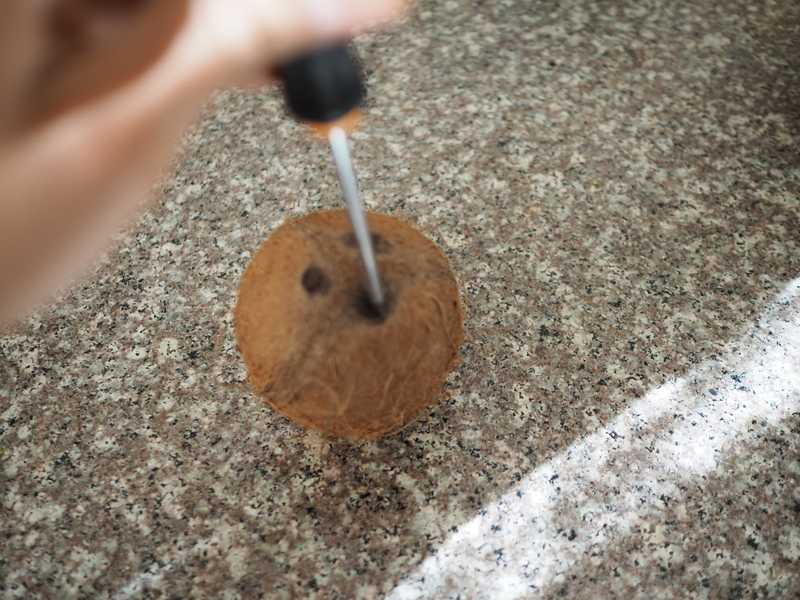 Just like cooking, it can give milder taste to the dessert you wish to cook. 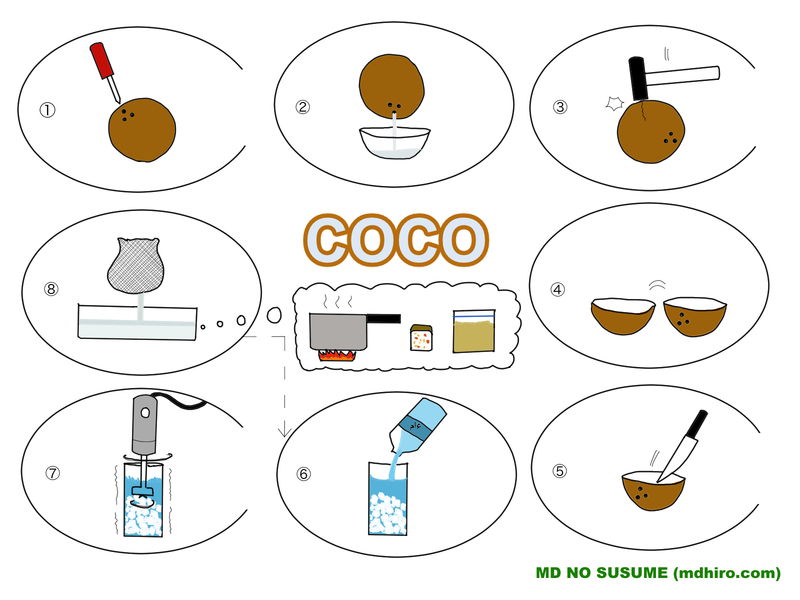 Lastly, but not least, the cover drawing summarizes everything mentioned above (and each step shows the part of COCO). If you would like to know more detail about any content, do not hesitate to ask. Thanks to some research (information shared by other people) and actual practice, I could learn several things, and it feels good to learn something new, right? 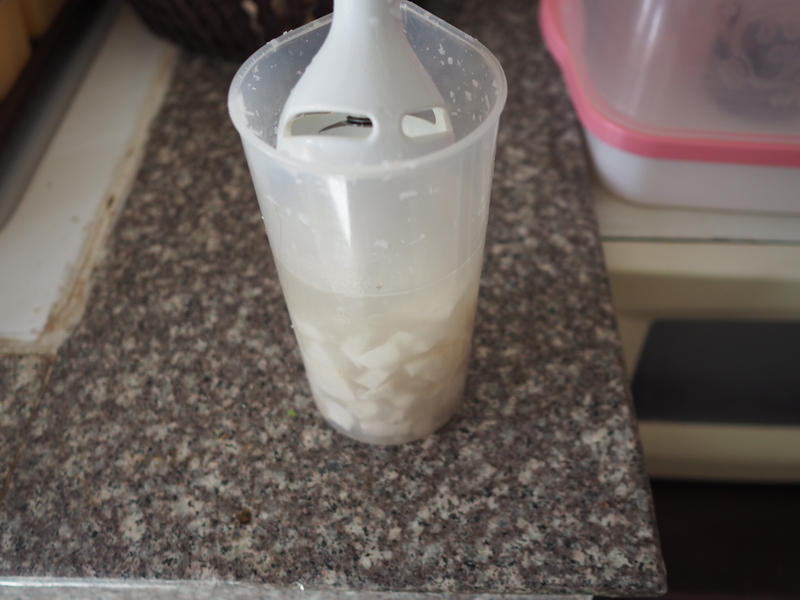 The experience of coconut milk making taught me that from only one coconut, you can make many different things, and it feels great to learn something new.